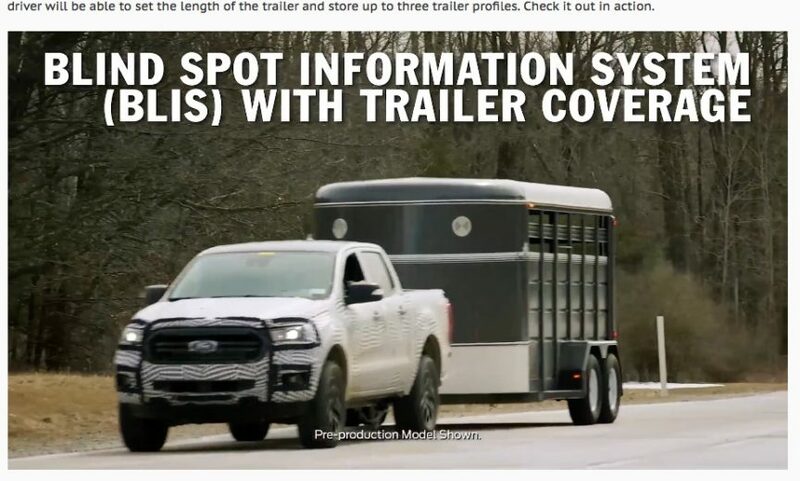 The all-new 2019 Ford Ranger will offer BLIS (Blind Spot Information System) with trailer coverage to make towing both easier and safer. The driver will be able to set the length of the trailer and store up to three trailer profiles. Check out this cool bit of technology inside.